I was lucky enough to attend the Mashable Media Summit (@Mashable) today and catch a ton of awesome content. The most actionable of which was from Ricky Van Veen, cofounder of CollegeHumor.com. Ricky is no stranger to the viral video. At the Mashable Media Summit this morning, Ricky opened the event with 10 Branded Content myths. His presentation focused on where marketers make mistakes with web video. If anyone has a sense for what makes web video successful and viral, College Humor leads the way. We pulled 10 tips for creating viral videos from Ricky’s presentation. If your goal is to scale the size of the audience consuming your brand’s video content, take note of these insights. If you cannot answer this then don’t make it. Not every video is interesting just because it effectively communicates your point. Your content is important but if you do not consider what the viewer would want to share first, the content sits there. If someone shares your content what does it say about them. Does it make their friends think they are smart or cultured or funny? People share content to try, in part, to associate themselves with the content’s value. When you make a video that you want to reach a large number of users, consider whether it would be rated highly by people or if it is just filler content. Web video is not restricted the same as TV, you do not have to fill hours in the day, aim for big wins. Web video is much less passive than a TV or movie experience. It is lean forward, not lean back. When viewers tune into a video on the web, there are tons of distractions waiting to pull them away and they are usually already multi-tasking. They will not stick around for very long for your content. 6. Include your hook within the first 20 seconds. Over a third of your viewers will tune out within 30 seconds. Let them know the good stuff early and keep them there for the duration. A simple tip, but one that can never be emphasized enough. 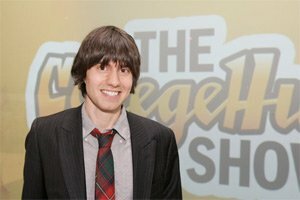 College Humor gets 95% of their views on Youtube. Putting your video on every video platform does very little to help you reach an audience that is already solidly on one site, Youtube. Sweet spots are the easily consumed content. What is most relevant to most people? What is topical and in the news? College humor also defines a unique sweet spot they call “Candy Corn”. Candy Corn is the cousin of nostalgia, something we all know but do not necessarily take in every day, like candy corn. An example given was the Font Conference video (video below) from College Humor. Everyone has dealt with a core group of fonts in word docs, but few of us discuss it on a regular basis. Sometimes content needs a push. Partnering with influencers, other content channels, and traditional media is key to reach an audience still. Built in audiences are key to helping content get that initial push.